In a sport where timing is everything, Washburn University couldn’t have picked a better year to start its cross country program. 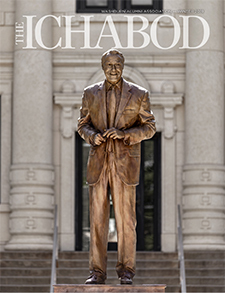 The formation of the Ichabods’ inaugural team coincided with the 2016 graduation of Hayden High School runner Jacob Klemz. 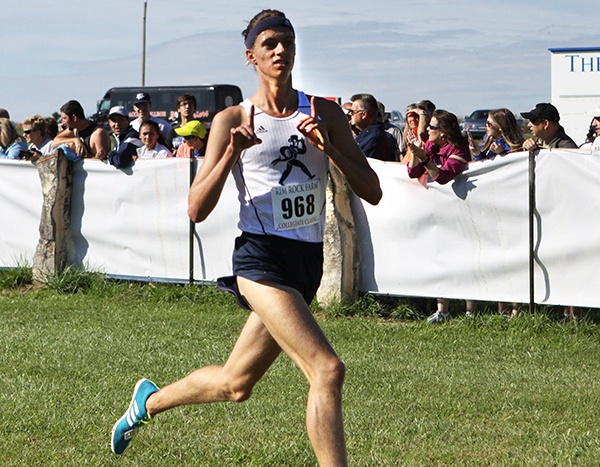 As a result, Washburn is home to an All-American long-distance runner just two years into the program’s existence. Klemz ran an 8K in 31:48.4 at the NCAA Division II cross country national championship Nov. 18 in Evansville, Indiana, finishing in 32nd place to claim the All-American honors awarded to the nation’s top 40 runners. The sophomore clocked faster times earlier in the year, but all things considered, he said his final run of the season was his finest. Klemz made up the most ground between the first and second kilometer, when he rose from 88th place to 57th. By the 5K mark, he was just on the right side of the All-America cutoff, sitting in 39th place. After a brief slide to 41st, Klemz used a strong finish to climb nine spots for All-American status. While it’s unclear what qualifies as crazy good in Klemz’s eyes, there was no shortage of accolades during his four years at Hayden. He was the city cross country champion, Centennial League runner-up and an all-state honoree with a fifth place finish in his last high school race. To continue running at the collegiate level, Klemz originally thought he would have to leave his hometown of Topeka and considered the University of Kansas and Pittsburg State University. Prior to his recruitment, Klemz said he hadn’t met Babb, who ran for Santa Fe Trail High School and Emporia State University, but he was sold on the proximity to home and the other benefits Washburn offered. The choice to attend Washburn paid off. Klemz won invitationals at Emporia State and Southwest Baptist to start his sophomore season, then finished second at the Rim Rock Farm Collegiate Classic against competition that included The University of Kansas and other Division I schools. In the national championship, he bested all MIAA runners, repeating a feat he pulled off earlier when he finished first in the conference championship Oct. 21 in Warrensburg, Missouri. A third-place finish by Klemz at the NCAA regionals in Kearney, Nebraska, helped Washburn finish 18th out of 32 teams and punched his ticket to the national championship. The individual season was the best in the program’s young history, but with two seasons remaining at Washburn, he’s far from satisfied. To get there, Klemz said 30-mile weeks will ramp up to 70 miles by the end of the summer, eventually peaking in the low 80s. While hours of running leads to occasional soreness, his love for the sport and the continued pursuit of lofty goals prevent any possibility of burnout.